A fantastic vintage inspired 16" below elbow pair of gloves in Matte Satin come in 5 fabulously perfect colors for your vintage inpired gala! A beautiful vintage inspired 16" pair of Below Elbow Gloves in Shiny Satin come in 5 gorgeous colors perfect for your vintage inspired party! A gorgeous pair of vintage inspired 19" Above Elbow Gloves in Matte Satin available in 4 glamourous colors for any bride or second time around bride! An exquisite pair of vintage inspired 19'' Above Elbow Gloves in Shiny Satin available in 5 gorgeous colors perfect for your next vintage inspired event! A lovely vintage inspired Satin Corded Edge Veil for a gorgeous bridal look, adorned with two layers of tulle and rounded satin cords on the edges. 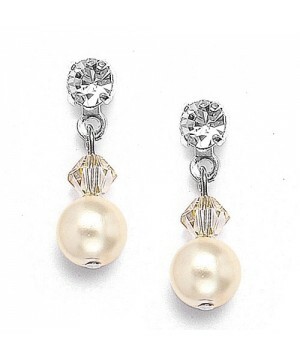 A beautiful Romantic pair of vintage inspired earrings that have a crystal top with a pearl drop and are a best selling accessory for second time around brides available in Pierced or Clip options. 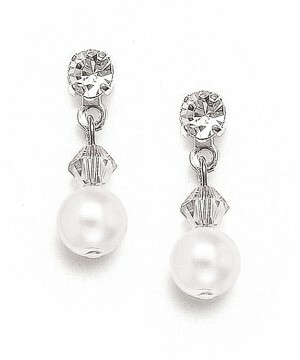 Our vintage inspired romantic pair of earrings are a best-selling accessory for every bride and second time around bride, having a crystal top with a pearl drop, hand-crafted in the USA. This beautiful romantic vintage inspired 2-row bracelet is a popular bridal and bridesmaid accessory, featuring Swarovski pearls and crystals and is hand-crafted in the USA. 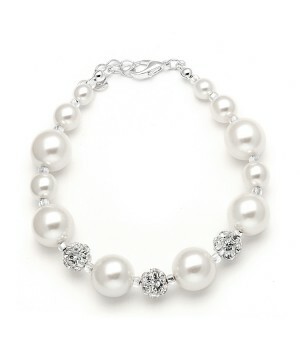 A gorgeous Romantic best-selling 2-row illusion bracelet with Swarovski pearls and crystals. 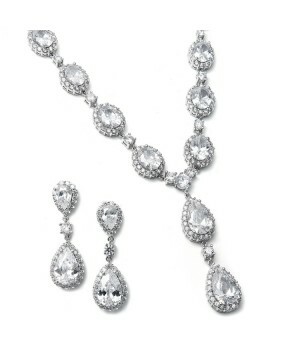 Our popular bridal and bridesmaid jewelry is handcrafted in the USA. 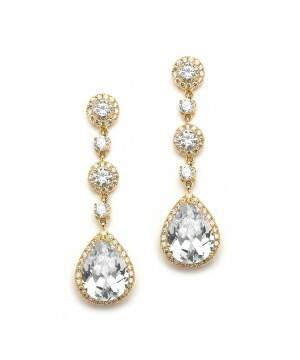 A lovely vintage inspired pair of earrings featuring graduated round CZ's, perfect for brides and second time around brides. 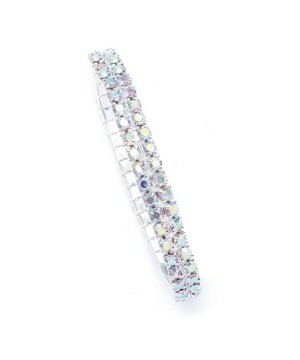 This gorgeous vintage inspired 2-row rhinestone stretch bracelet makes it the perfect accessory for your gown at any wedding, vintage inspired party or special occasion. 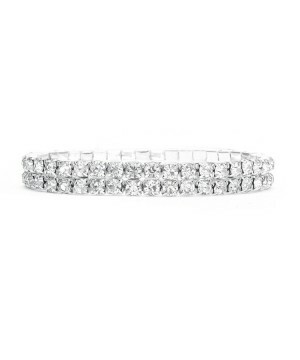 This gorgeous Romantic vintage inspired 2-row stretch bracelet is a great accessory for your wedding or vintage inspired party. 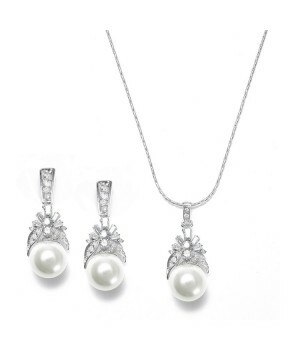 A gorgeous romantic Art Nouveau necklace and earrings set featuring CZ baguettes and pearls, perfect for any bride or second time around bride. 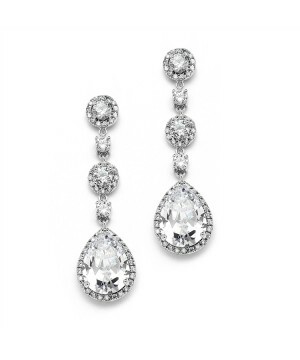 This gorgeous pair of vintage inspired pear drop earrings feature pave framed rounds and is a best-selling accessory for brides and second time around brides. 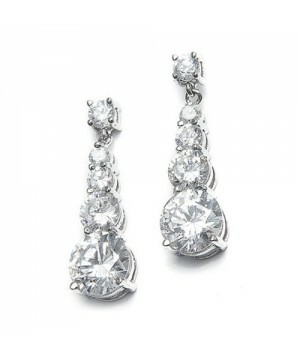 A gorgeous pair of romantic CZ earrings with clip backs in 14K gold plating measuring 2 1/4'' h is an exquisite best-selling accessory for brides and second time around brides to compliment your outfit. 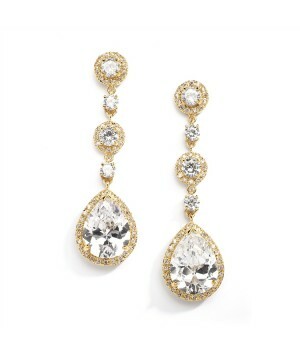 This beautiful pair of romantic CZ 14K gold plated earrings measure 2 1/4'' h is a best selling accessory for brides and second time around brides. 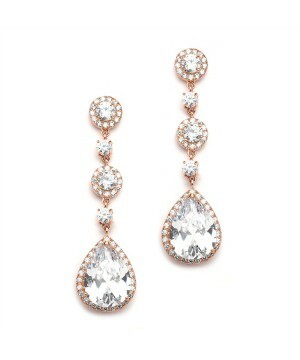 Wear these beautiful CZ vintage inspired Rose Gold plated 2 1/4'' h earrings to your wedding, party of gala for a gorgeous look! 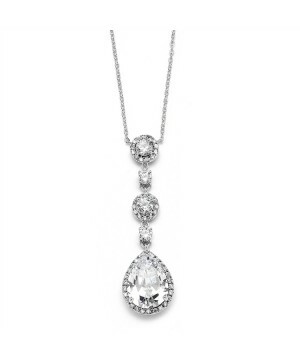 This gorgeous romantic necklace features pave framed rounds with pear-shaped drop pendant and is the perfect accessory for your wedding, party or gala. 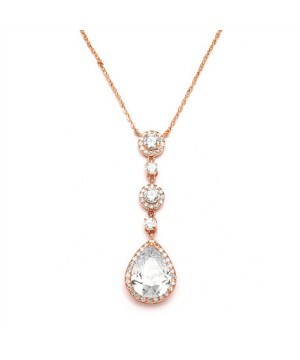 This beautiful vintage inspired adjustable 16'' - 18'' CZ bridal necklace is plated in Rose Gold, has a 2 1/4'' h zirconia dangle and is a best selling accessory for brides and second time around brides. 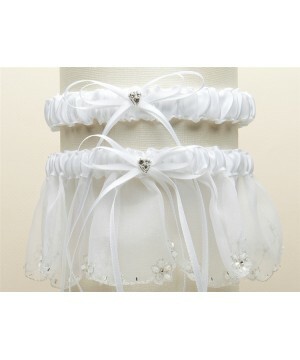 This crystal organza and satin bridal garter features crystal hearts and a scalloped edge which is a best-selling accessory for any bride. 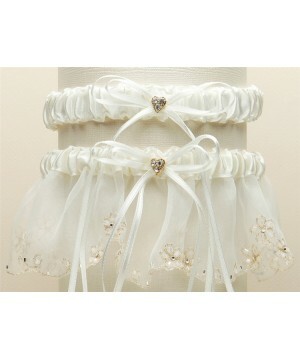 This lovely set of romantic garters contains a keepsake and a tossing garter with crystal hearts, made of delicate organza and satin which is a best-selling accessory for any bride. 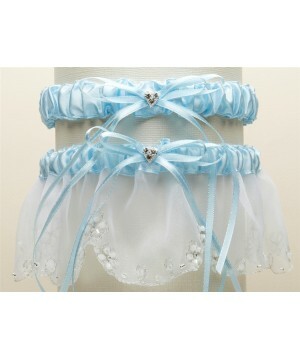 A beautiful vintage inspired organza and satin garter set consisting of a keepsake and a tossing garter that is a best-selling accessory for any bride or second time around bride. A beautiful vintage inspired organza and satin bridal garter set featuring crystal hearts and containing a keepsake and tossing garter. This lovely French Netting Birdcage veil is a best-selling accessory for any bride or second time around bride. A lovely vintage inspired French Net Birdcage veil that is a best-selling accessory for any bride and second time around bride, available in white, ivory or black. 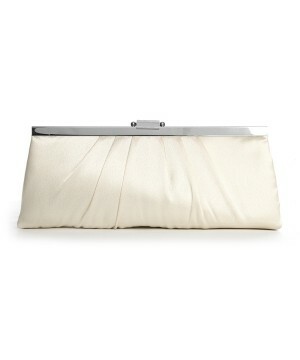 Choose this lovely vintage inspired 10'' w x 4'' h satin evening clutch for your wedding, event or gala to best accessorize your outfit. 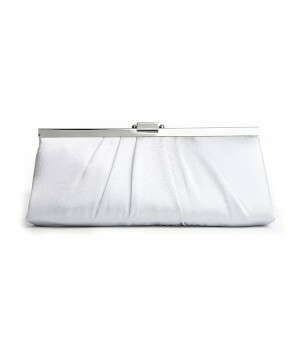 This ivory vintage inspired satin purse is a best-selling accessory for brides and second time around brides. 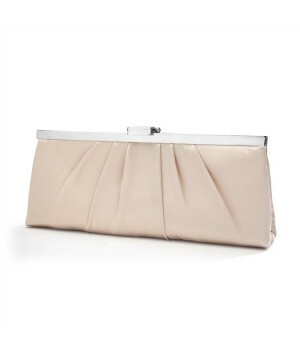 Wear this beautiful 10''w x 4'' h vintage inspired satin purse to compliment your evening gown and choose from a variety of colors perfect for your special occasion. Wear this gorgeous vintage inspired 23.5'' pair of opera length gloves in matte satin as the perfect accessory for your wedding, party or gala. This beautiful pair of vintage inspired Opera Length Gloves in Shiny Satin measures 23.5'' and is the perfect choice for weddings, parties or galas! This beautiful pair of vintage inspired adult 9" Wrist Gloves in Matte Satin is available in 5 beautiful colors and it's also available in Shiny Satin as style 825GL-2. A beautiful pair of vintage inspired 9" Adult Wrist Gloves in Shiny Satin available in 5 gorgeous colors which is the perfect accessory for your wedding, event or gala. 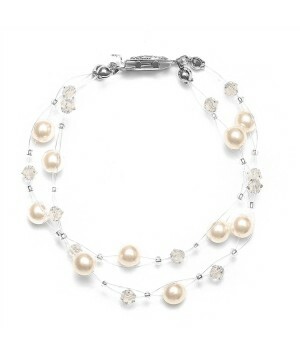 Choose a gorgeous look for your special day with this exquisite vintage inspired pearl bracelet with Swarovski rhinestone fireballs. 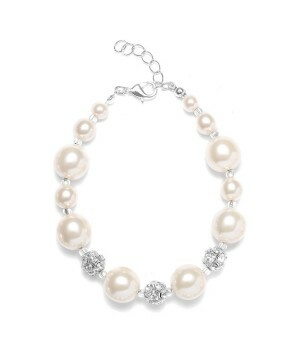 Add some glamour to your gown with this lovely vintage inspired pearl bracelet with glass pearls accented by Swarovski rhinestone fireballs, perfect for any bride or second time around bride.